Things to do in Pattaya - Excursions in Pattaya. 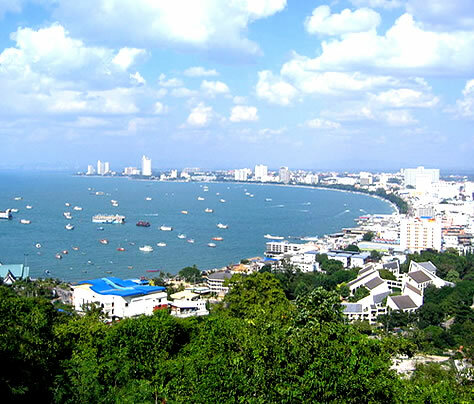 Pattaya is147 kilometres southeast of Bangkok, located on the Gulf of Thailand. Pattaya is Asia's premier beach resort, and offers beach fun with equal appeal to families, couples and single visitors. Pattaya's relaxing tropical ambient is synonymous with every ingredient for memorable holidays. Sporting opportunities are abundant both on land and water, and include some of the finest fishing, seasports, bananaboats, parasailing, Jetskis, golfing, shopping and scuba-diving. Themeparks and amusement gardens, interesting museums and lush botanical gardens bring you and your family activities, fun-filled days and cultural entertainment. Pattaya can be fun, exciting and truly amazing, and offers everything an authentic international beach resort can, and this without a huge cost. After dark, Pattaya city offers all the excitement and magic of an amazing vibrant nightlife with a variety of International and Thai restaurants, late nite discos and nightclubs, Gogo bars, live bands, cocktail lounges and cabarets.